Composed of 115 islands scattered in the Indian Ocean just off the coast of East Africa, the Seychelles are a true tropical paradise. Only a handful of the islands are inhabited by humans, but most of the others are home to an abundance of seabirds, giant tortoises, and other wildlife. 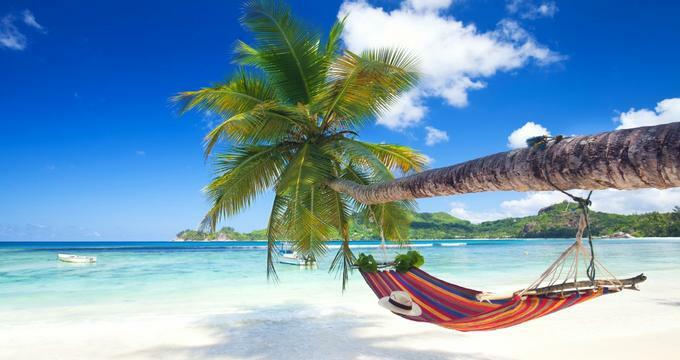 Secluded white sand beaches can be found almost everywhere you look; diving and snorkeling are very popular, but there's plenty of space on the beaches for anyone who simply wants to relax in the sun. 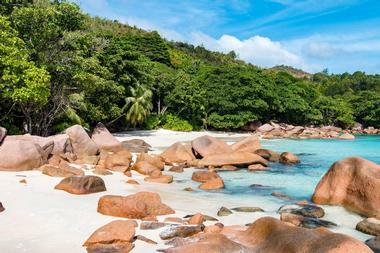 The Seychelles are the perfect spot for a dream vacation. Sitting right in front of the Emerald Cove Hotel on the island of Praslin, Anse La Farine is a small but beautiful beach that receives few visitors besides those staying at the hotel. The water is quite calm and shallow, making it suitable for swimmers of most levels and ideal for snorkeling, kayaking, and windsurfing. However, the sand sometimes disappears at high tide, so it's advisable to check the tide charts before planning a visit. The only way to access the beach is by boat; a boat sometimes runs between the beach and the hotel, but private transportation can also be arranged. Anse Lazio often makes an appearance on lists of the most beautiful beaches in the world, and it's not hard to understand why. With its soft white sand, turquoise water, and granite rock formations, the beach is a perfect photo backdrop as well as an ideal place to stroll, swim, and sunbathe. The water is quite deep outside of the designated swimming area and the beach is not protected by a coral reef like many of the other beaches in the Seychelles, but the water is still quite calm and a lifeguard is often on duty. Hidden away on the southernmost end of La Digue, Anse Marron is almost impossible to find without the assistance of a local guide. The beach can only be accessed on foot; anyone interested in visiting should be aware that the hike requires clambering over large boulders, wading through water, and sometimes squeezing through gaps in the rocks. 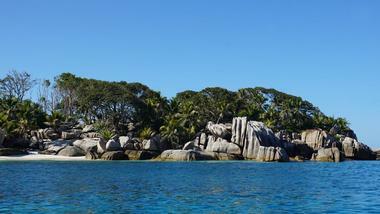 However, anyone who makes the trip will be rewarded with a spectacular beach protected by large granite formations. The water gets deep quite quickly, but some of the rock formations form a shallow natural pool perfect for paddling and wading. 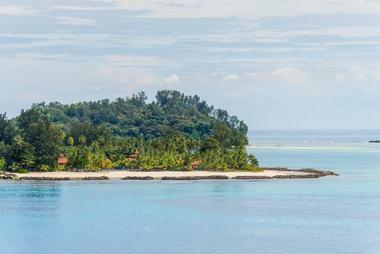 One of the northernmost island in the Seychelles, the Aride Island Nature Reserve is an untouched natural paradise. 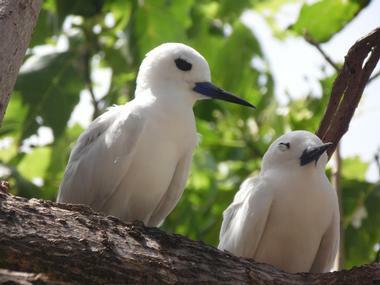 More than one million seabirds belonging to over ten species can be found here; five of these species are found only in the Seychelles. Only boats belonging to the reserve are permitted to land on the island, and all visitors will be required to transfer onto one of these vessels. The island is open to visitors Monday through Friday, but the island is sometimes closed during the months of May through September because of strong surf that makes it difficult to land a boat. Created by Italian artist Lorenzo Appiani, the Bicentennial Monument was erected in 1978 in honor of the 200th anniversary of the town of Victoria, which was founded in 1778 by French settler Charles Routier de Romainville. 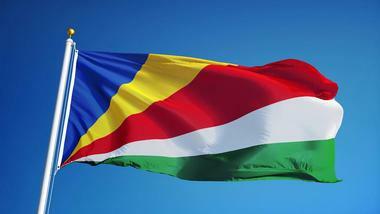 The three large pairs of graceful white wings are meant to represent the origins of the people of the Seychelles, who have their roots in three continents: Asia, Europe, and Africa. 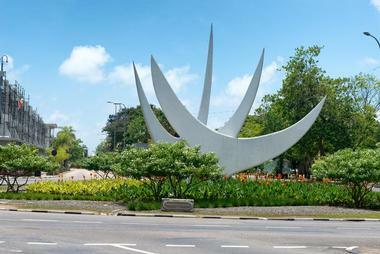 The monument sits in the middle of the roundabout at Independence Avenue and 5th June Avenue, making it easily accessible either by car or by foot. Located right in the heart of Victoria, the capital of the Seychelles, the Carrefour Des Arts is arguably the best place in the country to purchase local artwork and handicrafts. The artwork sold here represents a wide variety of different artistic styles, and visitors will find everything from hand-drawn illustrations to intricate fabric art. In addition to the paintings and other artwork, there is also a selection of CDs and DVDs created by Seychellois musicians. Other on-site amenities include a small cafeteria and a box office that sells tickets for various local performing arts shows and other productions. 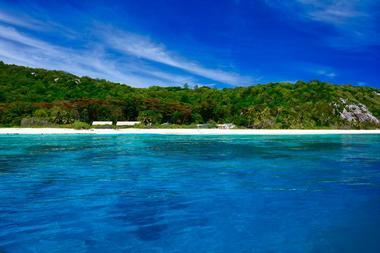 Only 2 km away from the much larger island of Praslin, Cousin Island Special Reserve is a 34-hectare granitic island that was declared a special nature reserve in 1975. More than 300,000 nesting seabirds visit the island every year, and it serves as a year-round home for five species of bird found only in the Seychelles. The incredible nature isn't limited to the land; the waters surrounding the island boast the most diverse fish population to be found almost anywhere in the Seychelles. The island is open to visitors during the mornings from Monday through Friday, but closed on weekends and public holidays. Formerly known as Ile Rouge because of its beautiful red soil, Curieuse Marine National Park is one of only two islands where coco de mer palm trees can be found. 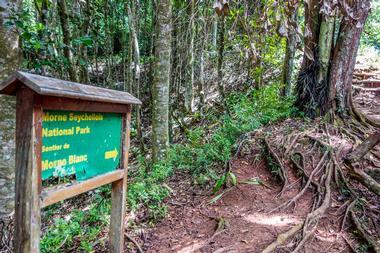 The trees are one of the Seychelles' iconic cultural symbols, and their unique green leaves are particularly striking when seen against the island's red soil. 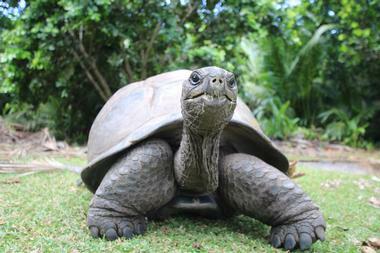 Giant bumphead parrotfish and giant tortoises can often be seen near Baie Laraie, which is the point of arrival for most visitors. From here, a stunning trail leads through the mangroves to Anse José, which features an old colonial house that has been transformed into a museum. Nestled amid the coconut trees on one of the most tranquil parts of Silhouette Island, the Dauban Mausoleum was built in 1864 for the daughter of plantation owner Auguste Dauban. Several other members of the family were buried here as well, including Auguste Dauban himself. 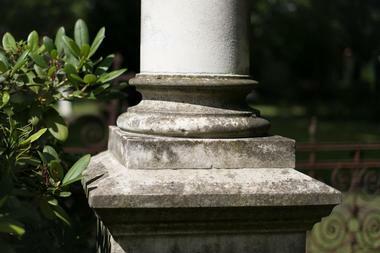 The Dauban family owned one of the most successful and prosperous plantations in the country, and the mausoleum offers an interesting glimpse at the island's economic and social history. The architecture of the structure is fascinating as well; the building is a great example of neoclassical architecture, and six massive columns stand guard at the front. 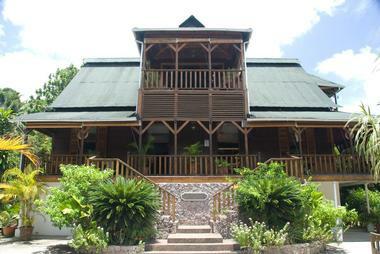 Dating back to the early 20th century, the Eustache Sarde S House is one of the few remaining timber buildings to be found in the Seychelles. 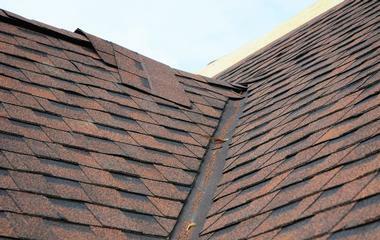 The home is characterized by its almost geometrical precision; the open architectural style of the home was conceived to allow for as much natural ventilation as possible. The veranda is decorated with gorgeous ornamental wooden balusters, and wooden mansards on the roof create a small but habitable attic space. The building formerly stood on large wooden pillars, but in recent years it has been moved to sit on a more durable concrete basement. 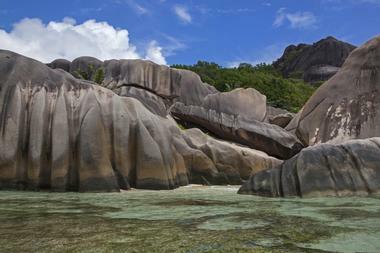 The island of La Digue is well known for its rugged beauty and its many eye-catching boulders, but the Granite Boulder at L’Union Estate stands head and shoulders above the rest. Covering approximately an acre of land, the boulder is one of the country's national monuments. 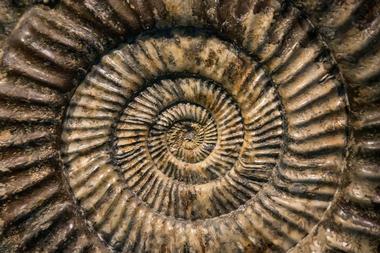 The boulder is believed to have been formed 750 million years ago, during the Precambrian era, and was created by the slow cooling of molten rocks. The wind, water, and other elements have done much to shape the rock over the years, and it now stands as a marvelous sculpture created entirely by Mother Nature. The former home of the wealthy Dauban family, Grann Kaz is an incredibly well-preserved homestead that was built in the early 20th century. Most of the original Creole-style architectural features have been retained, and the home is sparsely decorated with period furnishings. The house is surrounded by a large veranda, and the interior consists of three bedrooms, a sitting room, and a dining room. Several adjacent buildings have been converted into a craft village where visitors can purchase traditional Seychellois handicrafts from 12 different workshops, and there is also an on-site restaurant that specializes in traditional Creole cuisine. Constructed in 1992, the Hindu Temple Arul Mihu Navasakthi Vinayagar on the island of Mahé is the country’s one and only Hindu temple. The temple received its name in honor of Lord Vinayagar, the Hindu god responsible for keeping people safe and ensuring their success in life. Although the temple itself is fairly small, its many colors provide a striking and beautiful contrast against the tin roofs of the surrounding buildings. 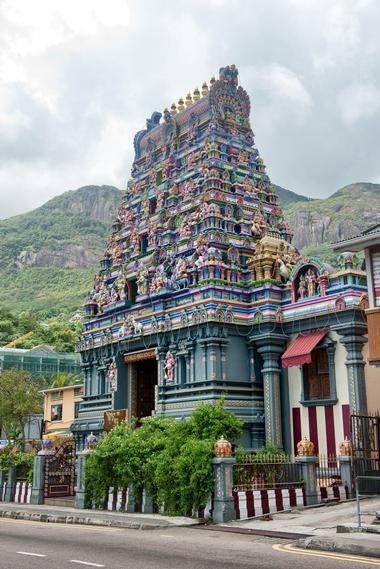 The Taippoosam Kavadi Festival has been held at the temple every year since 1993, and it has been a national holiday for Seychellois Hindus since 1998. One of the most easily recognized spots in the Seychelles, the Ile Cocos Marine National Park consists of three small islets surrounded by turquoise water and beautiful coral reefs. The park is known as one of the best places in the world to go SCUBA diving and snorkeling; the primary attractions are the large pelagic fish species, the hammerhead sharks, and the abundant colorful coral. Visitors are not permitted to stay on the island overnight, but day trips can easily be arranged with one of the tour companies or taxi boats on Praslin and La Digue. 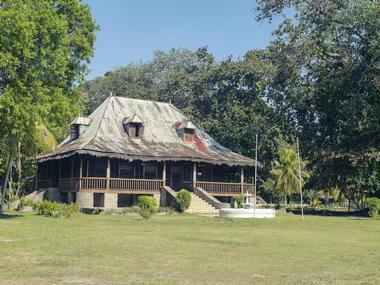 Built in 1855 as the primary residence of Dr. James Henry Brooks, the Kenwyn House is one of the country's best remaining examples of French colonial architecture. Many of the homes from this time period have long ago fallen into disrepair, but the Kenwyn House has been carefully restored to its former glory. The building now houses the jewelry company JOUEL, and after visitors have finished exploring the historic building, they can browse through the six luxurious jewelry collections inspired by the islands of the Seychelles. 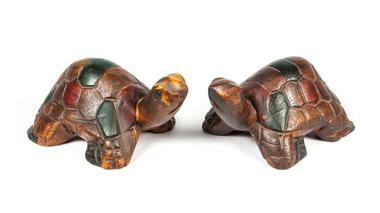 A selection of locally made jewelry and handicrafts are offered for sale as well. 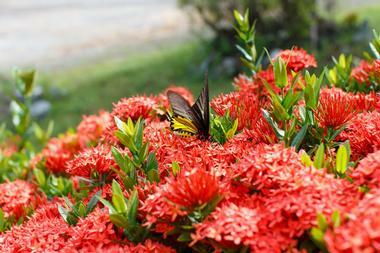 Part of the Anse Royale Ecotourism pilot initiative, the Kot Man Ya Exotic Flower Garden took 8 years to create and was finally opened to the public in 2008. 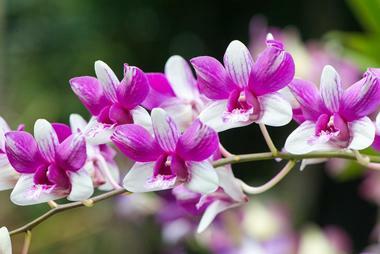 More than 200 varieties of tropical flowers can be seen in the garden; some are indigenous to the Seychelles, but the rest have been collected from the South Central American rainforest, Southeast Asia, and the South Pacific Islands. The garden is open every day of the week between 9:00am and 5:00pm, and the admission fee includes a guided tour, a refreshing beverage, and some beautiful flowers to take home. Perched on three gently sloping acres of land located only 15 minutes away from Mahé, La Misere Exotics Garden Centre is home to almost 300 varieties of lush tropical plants and more than 50,000 flowers and other botanicals. The property has been carefully landscaped for maximum visual appeal, and the beautiful gardens are easy to navigate thanks to a series of well-signed pathways and staircases that meander through the grounds. A small on-site cafe sells beer, wine, and other refreshments, and the space can often be rented out for birthday parties, anniversaries, and other private functions. Formerly a large coconut plantation, L'Union Estate is now a sort of theme park that transports visitors back in time to the colonial period. The biggest attraction here is the elegant Old Plantation House, but visitors can also marvel at the traditional copra mill and kiln, stroll through the landscaped grounds and gardens, observe a pen full of giant land tortoises, or visit the cemetery where many of the original settlers of La Digue are buried. 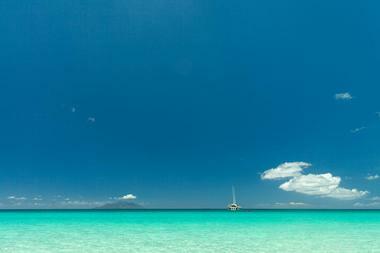 The property is also the only point of access for the beautiful Anse Source d'Argent, one of the world's most photographed beaches. Covering more than 20% of the island of Mahé, the Morne Seychellois National Park is the largest park in the Seychelles. 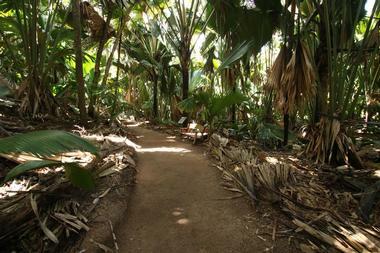 The park also has the honor of being home to the country's tallest mountain, the 2,969-foot Morne Seychellois. Much of the terrain consists of mountains cloaked in thick mangrove forests, and an extensive network of roughly 15 km of trails make it relatively easy to explore even the remote interior of the park. A total of 12 different trails wind their way through the lush jungle; these take anywhere from several hours to a full day to complete. Established in 1964, the National Museum of History has displays on everything from geology to zoology to the fascinating history of the Seychellois people. 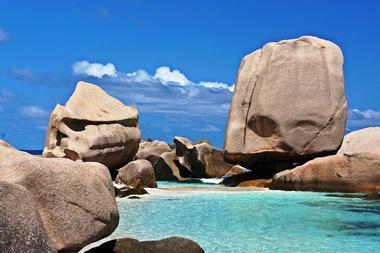 Highlights include a map drawn in 1517, a coco de mer nut that weights just over 18 kg, the smallest statue of Queen Victoria in the world, and the Stone of Possession, which was placed at La Poudrière by Nicholas Morphey to symbolize the conquest of the Seychelles by French colonists in 1756. 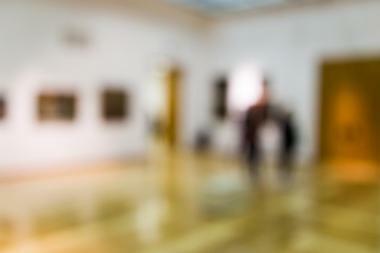 A small admission fee is charged, and most visitors take between 20 and 30 minutes to explore the museum. The first national marine park to be established in the Indian Ocean, the Sainte Anne Marine National Park consists of eight small islands. Most of the islands boast at least one luxurious resort or hotel, but several are home to only seabirds, other wildlife, and perhaps a ranger to collect an entrance fee from tourists. The colorful coral gardens in the water surrounding the islands are home to a variety of exotic tropical fish, and they can be explored by SCUBA diving, snorkeling, and glass-bottom boat tour. Several excellent Creole restaurants can be found on Ste Anne, the largest island in the park. The Seychelles National Archives is the country's official guardian of important historical and government documents, and it houses artifacts dating as far back as the 1770s. There is a heavy focus on the preservation and showcasing of important government records, and one of the most important items in the archives is the original copy of the treaty of capitulation. However, the exhibits aren't limited to documents alone; displays also include maps, paintings, films, and a large collection of historical photos. 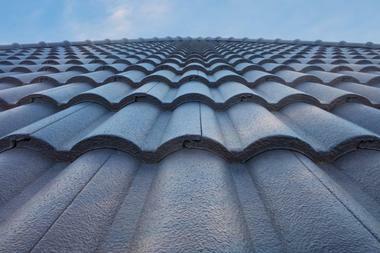 Entrance is free of charge, and the archives are open every day of the week except for Sundays and public holidays. The Seychelles have a fascinating natural history, and the exhibits in the Natural History Museum do an excellent job of presenting valuable information about the geology, fauna, and flora of the various islands. The museum is dedicated to preserving and sharing the country's heritage, but there is also a heavy focus on educating the public about the major environmental concerns of our time. The permanent exhibits cover seven different aspects of the country's national heritage, and temporary exhibits are sometimes displayed on the top floor of the museum. Plenty of useful research material can be found in the museum's resource center. Believed by some to be the Garden of Eden, the Vallée de Mai is a breathtaking palm forest in the heart of Praslin Island. The lush tropical forest includes six species of palm trees found nowhere else but the Seychelles, including approximately 6,000 coco de mer trees. The forest was declared a UNESCO World Heritage Site in 1983, and it is often called one of the botanical wonders of the world. Three short but well-marked walking trails wind their way through the forest, and free guided tours are offered twice daily at 9:00am and 2:00pm. 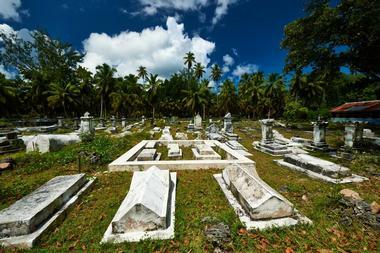 Established by the French at the end of the 18th century, Bel Air Cemetery was the first official burial ground in the Seychelles. The cemetery boasts a wide variety of tombs, shrines, and vaults, and it's a great place to learn about some of the island's most important historical figures. One of the cemetery's most interesting residents is Charles Dorothée Savy, a 9-foot-tall giant believed to have been killed when he was only 14 years old, but other notable figures buried here include corsair Jean-Francois Hodoul and Pierre-Louis Poiret, who claimed to be the son of King Louis XVI and Marie-Antoinette.